I won't recount the facts but, suffice it to say, they were not good facts for Kimble. Some of the facts are recounted in the excerpts from the legal discussion below. • Plaintiff did not disclose the existence of the UBS account to her accountant until approximately 2010. Stip. ¶ 43. • Plaintiff never asked her accountant how to properly report foreign investment income. Stip. ¶ 44. • Plaintiff did not review her individual income tax returns for accuracy for tax years 2003 through 2008. Stip. ¶ 46. • Plaintiff answered “No” to Question 7(a) on her 2007 income tax return, falsely representing under penalty of perjury, that she had no foreign bank accounts. Stip. ¶ 48.
n23 A May 23, 2018 Memorandum the IRS Office of Chief Counsel distributed to IRS program managers states that, “[t]he standard for willfulness under 31 U.S.C. § 5321(a)(5)(C) is the civil willfulness standard, and includes not only knowing violations of the FBAR requirements, but willful blindness to the FBAR requirements as well as reckless violations of the FBAR requirements.” Burden of Proof and Standard for Willfulness Under 31 U.S.C. § 5321(a)(5)(C), PMTA-2018-13, at 1 (May 23, 2018). For a comprehensive discussion of how other federal courts have construed whether a FBAR violation is “willful,” see Hale E. Sheppard, “What Constitutes A ‘Willful’ FBAR Violation?,” 129 J. TAX’N 24 (Nov. 2018) (collecting cases). For these reasons, the court has determined, viewing the evidence in the light most favorable to Plaintiff, that there is no genuine issue of material fact that Plaintiff violated 31 U.S.C. § 5314 and that her conduct was “willful.” See 31 U.S.C. § 5321(a)(5) (2004); see also RCFC 56. Practitioners should note that this rather cryptic holding seems to put at risk all taxpayers who on the Forms 1040 checked "No" in the foreign account box on Schedule B. Of course, Kimble's facts beyond that Schedule B check mark were consistent with the willful penalty but as the Court posited its conclusion perhaps the "No" answer only would suffice. 2. The Court rejected the Colliot and Wahdan holding s that the willful penalty was limited to $100,000 because the FBAR regulations had not been revised. The Court held that the IRS could impose the willful penalty in the maximum amounts allowed by the statute. Despite the investigative research and scholarly analyses of the Panama Papers, many questions remain, including: How did U.S. clients get to the Panamanian law firm of Mossack Fonseca? What were the ethical responsibilities of the individuals (particularly lawyers) who connected these U.S. clients with MF, especially in cases where the U.S. clients sought offshore assistance in order to avoid or evade U.S. taxes? And what, if anything, should individuals in similar situations do differently in the future? This Essay starts to answer these questions, and in doing so, fills a gap in the literature. Existing literature on lawyer referrals is relatively limited and generally focuses on referral fees, lawyer referral services, and malpractice actions for negligent referral. And while there is literature about professional responsibility in cross-border matters, discussions of referrals to foreign counsel are relatively brief and tend to focus on malpractice risk for negligent referral or on aiding and abetting the unlicensed practice of law. This Essay considers a specific, and previously unaddressed, type of cross-border referral—one for clients seeking help with offshore tax avoidance or evasion. This situation raises different ethical concerns and implicates tax-specific penalty provisions and standards of conduct. This Essay argues that, although the rules governing ethical tax practice generally do not prevent a U.S. lawyer from referring a client to a firm like MF for potentially aggressive tax planning, a lawyer who does so without very careful reflection “passes the buck” for ethical tax practice onto the next lawyer. Rather than expatriating responsibility for the tax practice ethics of representing the client, each lawyer should internalize more of that responsibility and should not blithely provide referrals. This Essay proceeds by describing what the Panama Papers reveal about client referrals to MF, after which the Essay briefly explains how the general ethical rules, tax-specific standards of practice, tax penalty provisions, and other constraints apply to a U.S. lawyer making a referral to a firm like MF. The Essay then argues that lawyers should adhere to higher standards when considering such referrals. In Matthews v. Commissioner, T.C. Memo. 2018-212, here, the taxpayer represented himself "pro se" to contest a deficiency with a year that was open based on the IRS determination of civil fraud. The taxpayer prevailed because, the Court (Judge Vasquez) concluded, the IRS had not proved civil fraud by clear and convincing evidence, despite some acknowledged bad acts, including lying to the agents, along the way. The story is interesting because it shows just formidable the clear and convincing standard is. The civil tax years in the Tax Court case were 2007 & 2008. Previously, Matthews was originally indicted for tax evasion under section 7201 and subscribing to a false return under § 7206(1) for tax years 2004 through 2008. A new prosecutor abandoned the tax evasion charges in a superseding indictment that charged (i) § 7206(1), tax perjury, for 2004 through 2008 and (ii) impeding the lawful function of the IRS, 7212(a) (tax obstruction). Matthews was convicted of all charges, sentenced to a 27-month prison term, and the conviction was affirmed on appeal. United States v. Mathews, 761 F.3d 891 (8th Cir. 2014), here. In the ensuing civil examination, the IRS determined that Matthews had unreported income and, based on the assertion of fraud, opened the statute of limitations and asserted the civil fraud penalty. Matthews petitioned for redetermination to contest the fraud determination. If successful, Matthews would owe no tax because the assessment statute of limitations had expired. 1. Based on assessment of Matthews' credibility, the Court determined (pp. 22-31) that the IRS had failed to established fraud by clear and convincing evidence. The aspect of the case turned upon credibility determinations. I enclose below extended excerpts related to this credibility determination. 2. The Court held (30-31) that the Section 7206(1) conviction was not issue preclusive on fraud. This is a standard holding. Here are key quotes of interest to tax crimes practitioners who must be concerned with civil liabilities. 1. On the threshold issue of the district court's jurisdiction, the Court questioned whether the district court had jurisdiction under the Little Tucker Act, 28 U.S.C. § 1346(a)(2). That concern was mooted because the court concluded that it was a tax claim under 28 U.S.C. § 1346(a)(1). Tax claims are, at least facially, subject to the Flora full payment rule. Bedrosian did not make full payment hoping that the Little Tucker Act avoided that requirement. So, since this was a tax refund action, according to the Court's concern, Flora required full payment. But, according to the Court, the district court did have jurisdiction over the Government's counterclaim. So, the district court had some jurisdiction and, as a result, the Court of Appeals had jurisdiction to consider the merits of the appeal. 2. On the merits, the Court held that, for the FBAR penalty, the Government must satisfy the civil willfulness standard, which includes both knowing and reckless conduct. The Court thus was consistent with the consensus of the previously decided cases. The Court said that willfulness, as interpreted, required both a subjective and objective inquiry. 3. The Court remanded because the Court was not certain that the district court's finding of nonwillfulness considered the objective aspect of willfulness. Big Win for Taxpayer/Filer in FBAR Willful Penalty Case (Federal Tax Crimes Blog 9/21/17; 9/23/17), here. Order on Motion In Limine and Trial Briefs in Case Involving FBAR Willful Penalty (Federal Tax Crimes Blog 9/11/17), here. Court Denies Cross Motions for Summary Judgment on FBAR Willful Penalty (Federal Tax Crimes Blog 4/13/17), here. Brian Galle, a tax professor at Georgetown Law School, has this article: Trump’s Bookkeeper: How Prosecutors Could Easily Prove Tax Crimes for Hush Money Reimbursements (Just Security 12/18/18), here. Brian's article links this article by Martin Sheil, former Supervisory Special Agent IRS Criminal Investigation: Did Trump Organization Executives Cook the Books?–Tax Crimes Explained under Federal and State Law (Just Security 12/18/18), here. Both are good reading, although written for readers who are not tax crimes specialists (who do need to reminded from time to time about Cheek). In my view, Trump’s key defense to the campaign finance charge would focus on his purpose in making the payments. There’s a strong circumstantial case to be made that candidate Trump knew secret mistress payoffs could be crimes: he tweeted about the John Edwards prosecution for the same general sort of conduct, and was broadcast saying he had talked to lawyers after reading about that case. So his best shot is to say simply that he paid not to influence the election, but instead for personal reasons, such as to avoid hurting his wife. The timing, in October of 2016, makes that argument challenging, but he might say that he knew the timing would drive press coverage that would be especially hurtful or that it was his accusers who dictated the timing. But down that road lies tax fraud. The problem is that if the payments were indeed personal, they were not deductible business expenses. In all likelihood, when Weisselberg created an account entry listing the payments as “legal expenses” for the Trump Organization, that entry resulted in those costs being deducted from the Organization’s income (as with many things Trump, it would of course be useful to see the tax returns themselves). Although Trump probably no longer signs the Organization’s tax returns, and so likely did not himself lie on the 2016 return, he could be guilty of conspiring with others to fraudulently reduce the Organization’s taxes. The payments likely also should have been taxed to Trump personally as de facto distributions of profits; whether they are reported as such on his personal tax returns is also an interesting question for investigators. Just as with the campaign offenses, mental state is critical to tax offenses, and so it is here that Weisselberg will be critical. Ignorance of the law actually is an excuse for tax crimes. Because the tax code is so complex, taxpayers can’t be convicted of most tax offenses unless they undertake a “voluntary, intentional violation of a known legal duty.” Cheek v. U.S., 498 U.S. 192, 201 (1991). Proving that defendants actually knew what they were doing was wrong is the most challenging part of almost any tax prosecution. The time during which the person committing any of the various offenses arising under the internal revenue laws is outside the United States or is a fugitive from justice within the meaning of section 3290 of Title 18 of the United States Code, shall not be taken as any part of the time limited by law for the commencement of such proceedings. (The preceding sentence shall also be deemed an amendment to section 3748(a) of the Internal Revenue Code of 1939, and shall apply in lieu of the sentence in section 3748(a) which relates to the time during which a person committing an offense is absent from the district wherein the same is committed, except that such amendment shall apply only if the period of limitations under section 3748 would, without the application of such amendment, expire more than 3 years after the date of enactment of this title, and except that such period shall not, with the application of this amendment, expire prior to the date which is 3 years after the date of enactment of this title.) Where a complaint is instituted before a commissioner of the United States within the period above limited, the time shall be extended until the date which is 9 months after the date of the making of the complaint before the commissioner of the United States. For the purpose of determining the periods of limitation on criminal prosecutions, the rules of section 6513 shall be applicable. The issue of tolling is currently a topic in today's political environment where there are various claims bandied about that a sitting President cannot or should not be indicted. I point readers to this article: Jed Shugerman, The Single Fatal Flaw in the Legal Argument Against Indicting a Sitting President (Slate 10/11/18), here. The by-line is: Should a president be above the law because of the statute of limitations? Let's use a tax crimes example. Say that the Government (Mueller, the IRS, DOJ Tax etc.) has evidence that Trump committed tax crimes for the tax years 2012-2015 (2015 is the last year where a return was filed before he became President). Assuming that he filed his tax years timely on extension for those years, the statute of limitations related to those filings would expire annually starting on October 15, 2019. If President Trump cannot be indicted while President, the statute as the text of the law is worded would expire on those crimes starting on October 15, 2019. Even if he is a one-term President, the statute would expire on some of those years before he leaves office (unless he leaves prematurely). Moreover, if he is a two term President and does not leave prematurely, the statute of limitations on all of those years will expire. Can that be? Mr. Shugerman's article suggest that, although federal crimes are generally not tolled without an express statute for tolling (which there is not in this case), there is a concept called "equitable tolling" that might apply. I think that the potential of equitable tolling in this case is doubtful, particularly where it has never been established that the President could not be indicted while in office. It seems to me that the proper course to set up even the possibility for equitable tolling would be to indict the President (perhaps under seal) and, if President Trump wants to fight whether he can be indicted, let the parties fight to final resolution (also perhaps under seal) whether the President can be indicted. This would all occur during his presidency and the matter will be resolved. If he can be indicted, there might be policy reasons to let the indictment remain under seal under he leaves office. But, if he can't be indicted, the indictment would be dismissed and the issue of equitable tolling would be set up. In Bontrager v. Commissioner, 151 T.C. ___, No. 12 (2018), here and here, the Court held that a taxpayer convicted of tax evasion as an aider and abetter of his father's tax evasion and ordered to pay restitution of a portion of his father's evaded tax liability can be assessed the restitution amount under § 6201(a)(4), here. Readers will recall that § 6201(a)(4) and related provisions were enacted in 2010 to (i) permit the IRS to assess tax restitution immediately without going through the predicate step of notice of deficiency and Tax Court proceeding and (ii) make assessment preclusive. The Secretary shall assess and collect the amount of restitution under an order pursuant to section 3556 of title 18, United States Code, for failure to pay any tax imposed under this title in the same manner as if such amount were such tax. Judge Lauber does a straightforward job of working to his conclusion. I have previously written on the criminal conviction of Arvind Ahuja. See Prominent Neurosurgeon Convicted for Offshore Accounts (Federal Tax Crimes Blog 8/23/12), here. On December 7, 2018, the Government filed an FBAR willful penalty collection suit for a single willful penalty for the year 2009 in the amount of $4,662,540.50. United States v. Ahuja (E.D. Wisc. Dkt. No. 18-cv-01934). The Complaint is here (from Court Listener). As of today, no answer has been filed. 15. On his IRS Form 1040 for 2009, Ahuha checked “no” on that part of Schedule B requiring him to disclose his interest in foreign bank accounts. 16. In August of 2008 and on subsequent dates, Ahuja’s accountant informed Ahuja of his obligation to report his interest in any foreign financial accounts. Ahuja knew or should have known he had a duty to report his interest in the foreign financial accounts. 23. On August 22, 2012, Ahuja was found guilty by a jury in this district for, among other charges, his willful failure to submit a Report of Foreign Bank and Financial Accounts and filing a false income tax return for the year ending December 31, 2009 in the case of United States v. Arvind Ahuja, Crim. No. 2:11-cr-00135-CNC (E.D. Wisc.). 19. On July 12, 2017, a delegate of the Secretary of the Treasury timely made an assessment in the amount of $4,622,540.50, under 31 U.S.C. § 5321, against the defendant, Arvind Ahuja, for his willful failure to submit a FBAR for the year ending December 31, 2009, and assessed both a late-payment penalty of $63,069.19, under 31 U.S.C. § 3717(e)(2) and 31 C.F.R. § 5.5(a), plus interest. The amount assessed under 31 U.S.C. § 5321 is commonly known as a “FBAR Penalty.” The FBAR Penalty assessed is 50% of the account balance on the day of the FBAR violation. 22. With interest and other statutory accruals, the amount due with respect to the assessment described above is, as of September 19, 2018, $5,007,288.38. The United States is entitled to judgment in its favor and against Ahuja in this amount, plus statutory additions including interest according to law. In United States v. Shinday, 2018 U.S. Dist. LEXIS 205372 (C.D. Cal. 2018), an FBAR collection suit, the defendants (husband and wife) had foreign accounts at UBS and at State Bank of India. I excerpt some of the history of the accounts below. The Government assessed multi-year willful penalties against the husband and five single year $10,000 nonwillful penalties against the wife. The Government is suing to obtain judgment on the assessments. The defendants moved to dismiss, and the Government opposed. (The motion to dismiss is here and the opposition is here.) The Court denied the motion (here with Court Listener copy here; the Docket Entries on Court Listener here permit some of the documents to be downloaded). ). The government alleges that in 2002, UBS prepared a memorandum indicating that defendants asked UBS whether Nila’s brother could withdraw $50,000 of defendants’ funds from UBS’s London branch without it being reported. Id. In 2008, UBS again notified defendants of new laws applying to U.S. citizens with foreign bank accounts, and recommended that defendants close their UBS account. Id. ¶ 23. Defendants soon after transferred the funds in their UBS account to their accounts at the State Bank of India (“SBI”), a bank in India, and eventually closed their UBS account. Id. The government alleges that before defendants closed their UBS account, defendants’ UBS account had year-end balances of $350,019 in 2005, $361,819 in 2006, $420,893 in 2007, and $15,003 in 2008. Id. ¶ 9. Defendants also had “as many as twenty-nine and as few as seven fixed deposit accounts at the State Bank of India[,]” from the years 2005 to 2011. Id. ¶ 10. Defendants’ SBI accounts had aggregate year-end balances of $444,035 in 2005, $669,729 in 2006, $258,079 in 2007, $306,647 in 2008, $411,502 in 2009, $216,530 in 2010, and $362,506 in 2011. Defendants filed joint federal income tax returns for the 2005 to 2011 tax years, utilizing a certified public accountant to file those returns. Id. ¶ 25. The returns included a Schedule B, Interest and Dividends, which, inter alia, requires defendants to (1) report domestic or foreign interest or dividends, and (2) state whether they have a financial account in a foreign country. Id. ¶¶ 26–27. Defendants did not report the interest or dividends associated with their UBS and SBI accounts for 2005 to 2010. Id. ¶ 26. They checked a box on the Schedule B form for their 2005 to 2010 tax returns indicating that they did not have foreign accounts during those years. Id. ¶ 27. Defendants signed those returns, under penalty of perjury. Id. For defendants’ 2011 tax return, defendants disclosed their SBI accounts, but failed to do so in a timely manner. Id. ¶ 29. The IRS then audited defendants’ 2005 to 2011 tax returns. During the audit, defendants ultimately disclosed two Canadian investment accounts, as well as the UBS and SBI accounts. Id. ¶ 30. The government alleges that the IRS thereafter assessed penalties against defendants based on their UBS and SBI accounts. Id. ¶¶ 31–32. The government claims that on or around August 23, 2016, the IRS assessed non-willful FBAR penalties against Nila for the tax years 2007 to 2011. Id. ¶ 31. Each penalty was $10,000, totaling $50,000. Id. The government alleges that on or about August 23, 2016, the IRS also assessed willful FBAR penalties against Money for the tax years 2007 to 2011. Id. ¶ 32. The aggregate amount of the penalty was $257,888, which represents 25% of the combined 2006 year-end balance of defendants’ UBS and SBI accounts, equaling $1,031,548. Id. This total was then divided equally, in order to apply penalties equally for each year starting in 2007 and ending in 2011. Id. $100,000. The Court need not reach this issue, however. Irrespective of whether Section 5321 invalidates the Department of Treasury’s implementing regulations, there was no year in which Money was penalized for more than $100,000. The USAO SDNY sentencing memo for Michael Cohen, former attorney for President Donald J. Trump (identified in the memo as "Individual-1"), is linked, here, and excerpted in the following: Paul Caron, Michael Cohen And Theories Of Deterrence In Tax Evasion Cases (TaxProf Blog 12/7/18), here. The TaxProf Blog excerpts are good. The criminal tax laws are designed to protect the public interest in preserving the integrity of the nation's tax system. 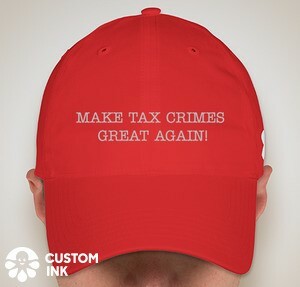 Criminal tax prosecutions serve to punish the violator and promote respect for the tax laws. Because of the limited number of criminal tax prosecutions relative to the estimated incidence of such violations, deterring others from violating the tax laws is a primary consideration underlying these guidelines. Recognition that the sentence for a criminal tax case will be commensurate with the gravity of the offense should act as a deterrent to would-be violators. There is a lot for tax crimes fans to unpack in that short statement. I will not try to do that here. U.S. v. Engle, 592 F.3d 495, 501-2 (4th Cir. 2010), here. classify as serious many offenses for which probation was frequently given and provide for at least a short period of imprisonment in such cases. The Commission concluded that the definite prospect of prison, even though the term may be short, will serve as a significant deterrent, particularly when compared with pre-guidelines practice where probation, not prison, was the norm. Id. at Ch. 1, Pt. A, introductory cmt. 4(d) (1998) (emphasis added). Given the nature and number of tax evasion offenses as compared to the relatively infrequent prosecution of those offenses, we believe that the Commission's focus on incarceration as a means of third-party deterrence is wise. The vast majority of such crimes go unpunished, if not undetected. Without a real possibility of imprisonment, there would be little incentive for a wavering would-be evader to choose the straight-and-narrow over the wayward path. A couple of days ago I wrote on new DOJ entity prosecution policies announced by DAG Rod Rosenstein. New DOJ Policies for Prosecution of Entities and the Individuals Within Them Most Responsible (Federal Tax Crimes Blog 11/30/18), here. Following through on that item with respect to offshore banks and their principal individual actors (officers, agents and other individual partners in crime), Haaretz has this article: Michael Rochvarger, Bad News for Israeli Bankers: The U.S. Has a New Policy on Corporate Crime (Haaretz 12/5/18), here. In the context of foreign banks and their individual actors that means that, although corporations and other juridical entities, cannot be jailed, individuals can, particularly those who are principal actors in the scheme. Of course, with respect to principal individual actors for foreign entities (such as Swiss and Isreali banks), effectively prosecuting the principal individual actors can be a problem, but one that is sometimes not surmountable. For example, Raoul Weil of UBS was extradited to the U.S. and tried, albeit with acquittal. See On Foreign Enabler Indictments, Sealed Indictments and INTERPOL Red Alerts (Federal Tax Crimes Blog 6/29/16), here. And, as I noted yesterday, principal individual actors for entities involved with the Panama Papers fiasco were indicted and extradited to the U.S. Enablers and Taxpayer Related to Panama Papers Disclosures Indicted (Federal Tax Crimes Blog 11/5/18), here. The main message Rosenstein relayed was that agreements would be difficult to reach unless the executives involved are required to personally pay fines and even be forced to resign if they are still in their jobs. But Rosenstein went on to say: “The most effective deterrent to corporate criminal misconduct is identifying and punishing the people who committed the crimes. So we revised our policy to make clear that absent extrao rdinary circumstances, a corporate resolution should not protect individuals from criminal liability. Among Israeli bankers, the new policy is most relevant to Eldad Fresher, the CEO of Mizrahi since 2013. Before and during the year the alleged tax violations occurred, he was chairman of the bank’s Swiss unit and head of its financial division, responsible for international activities. Dan Lubasch, Mizrahi Switzerland’s CEO since 2011, may also be affected. Most of the senior Hapoalim executives connected with the alleged affair have left the bank, but a number of middle managers who remained now find themselves in the Justice Department’s crosshairs. Of the three Israeli banks that have been investigated, only Bank Leumi has settled — agreeing to pay a $400 million penalty four years ago. That, however, may not be a good barometer for what Hapoalim will have to pay, on top of the threat that individual executives will also face penalties. In August, the Justice Department offered Mizrahi — Israel’s third-largest bank, but much smaller than Leumi and Hapoalim — a settlement that included a $342 million fine. Mizrahi rejected it, but also opted to set aside another $116.5 million in its second-quarter financial report, in expectation of a future penalty. Until then, its provisions had amounted to just $162 million. Meantime, the two sides are negotiating. At Hapoalim, the provisions connected with the probe have reached $365 million, with total costs, including legal fees, of 2 billion shekels ($540 million). It’s not clear when the bank will settle with U.S. authorities. Ramses Owens (aka Ramses Owens Saad), a Panamanian attorney who worked for Mossack Fonseca and who remains at large. Richard Gaffey, a U.S.-based accountant, who was arrested in Massachusetts, this morning. [The Government] announced today the unsealing of an indictment charging RAMSES OWENS, DIRK BRAUER, RICHARD GAFFEY, and HARALD JOACHIM VON DER GOLTZ, with wire fraud, tax fraud, money laundering, and other offenses in connection with their roles in a decades-long criminal scheme perpetrated by Mossack Fonseca & Co. (“Mossack Fonseca”), a Panamanian-based global law firm, and related entities. From 2000 through 2017, OWENS and BRAUER conspired with others to help U.S. taxpayer clients of Mossack Fonseca conceal assets and investments, and the income generated by those assets and investments, from the IRS through fraudulent, deceitful, and dishonest means. To conceal their clients’ assets and income from the IRS, OWENS and BRAUER worked to establish and manage opaque offshore trusts and undeclared bank accounts on behalf of U.S. taxpayers who were clients of Mossack Fonseca. OWENS and BRAUER marketed, created, and serviced sham foundations and shell companies formed under the laws of countries such as Panama, Hong Kong, and the British Virgin Islands, to conceal from the IRS and others the ownership by U.S. taxpayers of accounts established at overseas banks, as well as the income generated in those accounts. As structured by Mossack Fonseca, the sham foundations typically “owned” the shell companies that nominally held the undeclared assets on behalf of the U.S. taxpayer clients of Mossack Fonseca. The names of Mossack Fonseca’s clients generally did not appear anywhere on the incorporation paperwork for the sham foundations or related shell companies, although the clients in fact beneficially owned, and had complete access to, the assets of those sham entities and accounts. In furtherance of the scheme, and in exchange for additional fees, OWENS and BRAUER provided support to clients who had purchased the sham foundations and related shell companies by providing corporate meeting minutes, resolutions, mail forwarding, and signature services. Moreover, OWENS and BRAUER purposefully established the bank accounts in locations with strict bank secrecy laws, which impeded the ability of the United States to obtain bank records for the accounts. OWENS and BRAUER also instructed U.S. taxpayer clients of Mossack Fonseca about how to repatriate funds to the United States from their offshore bank accounts in a manner designed to keep the undeclared bank accounts concealed. Among other things, OWENS and BRAUER instructed clients to use debit cards and fictitious sales to repatriate their funds covertly. VON DER GOLTZ was one of Mossack Fonseca’s U.S. taxpayer clients. At all relevant times, VON DER GOLTZ was a U.S. resident and was subject to U.S. tax laws, which required him to report and pay income tax on worldwide income, including income and capital gains generated in domestic and foreign bank accounts. VON DER GOLTZ evaded his tax reporting obligations by setting up a series of shell companies and bank accounts, and hiding his beneficial ownership of the shell companies and bank accounts from the IRS. These shell companies and bank accounts made investments totaling tens of millions of dollars. VON DER GOLTZ was assisted in this scheme by OWENS and by GAFFEY, a partner at a U.S.-based accounting firm. In furtherance of VON DER GOLTZ’s fraudulent scheme, VON DER GOLTZ, GAFFEY, and OWENS falsely claimed that VON DER GOLTZ’s elderly mother was the sole beneficial owner of the shell companies and bank accounts at issue because, at all relevant times, she was a Guatemalan citizen and resident, and – unlike VON DER GOLTZ – was not a U.S. taxpayer. GAFFEY, in addition to assisting VON DER GOLTZ evade U.S. income taxes and reporting requirements, also worked closely with OWENS to help another U.S. taxpayer client (“Client-1”) of Mossack Fonseca defraud the IRS. Client-1 maintained a series of offshore bank accounts, which Mossack Fonseca helped Client-1 conceal from the IRS for years. The indictment further alleges that upon the advice of OWENS and GAFFEY, Client-1 covertly repatriated approximately $3 million of Client-1’s offshore money to the United States by falsely stating on Client-1’s federal tax return that the money represented proceeds from the sale of a company. After Client-1 repatriated approximately $3 million in this manner, approximately $1 million still remained in Client-1’s offshore account, the existence of which remained hidden from the IRS. The Supreme Court next week takes up the case of a small-time Alabama felon, Terance Gamble, who complains that his convictions by state and federal prosecutors for the same gun possession crime violate constitutional protections against double jeopardy. But likely to be watching the proceedings closely will be those concerned about a big-time felon, Republican consultant and former Trump campaign chairman Paul Manafort, who was prosecuted by special counsel Robert S. Mueller III for tax fraud. With President Trump keeping alive prospects that he might pardon Manafort, Gamble v. United States might be redubbed Manafort v. Mueller, joked Thomas C. Goldstein, an attorney who regularly argues before the Supreme Court. The outcome in the case could affect nascent plans by states to prosecute Manafort under their own tax evasion laws — New York, in particular, has expressed interest — should Trump pardon Manafort on his federal convictions. In Gamble, the court is reconsidering these precedents. Almost none of the briefs filed in the case speculate on how a presidential pardon of a federal conviction would affect prosecutors at the state level should the so-called separate sovereigns doctrine be renounced.